Once home to major railroads and stockyards, the Allston of today is a landscape of tree-lined streets with triple decker homes, brick row houses and concrete residential and commercial developments. Allston is a radiant neighborhood with a diverse population of families, young professionals and students. Separated from most of Boston and annexed by the city in 1874, Allston is bordered by the town of Brookline on the south and east and is best known for its close proximity to major colleges and universities like Boston University, Harvard University and Boston College. The occupancy of educational institutions include Boston University which spans a massive campus along Commonwealth Avenue and Harvard University, which owns nearly 350 acres in North Allston and has recently developed several buildings for their science and business school. The emergence of new small businesses in Allston Village along Commonwealth Ave, Brighton Ave and Harvard Ave, has made Allston a premier destination for shopping and dining with quick access to the MBTA green line and bus lines spanning from Cambridge, Brookline and Boston. Allston is also home to many unique ethnic restaurants and some of the most energetic watering holes with hip local bars like the Sunset Grill and Tavern on the Square, lounges like Wonderbar and music halls like Great Scott. People c enjoy outside activities like running, biking and even canoeing with the Charles River and Paul Dudley White Bicycle Path border the neighborhood to the north and east. This conveniently located neighborhood is great for commuters and people who like a suburban setting with a metropolitan vibe. Resident can enjoy Allston’s distinctive mix of both late-night city frills and local ambiance with an early morning coffee in a small modish cafe. There are many interesting places to discover in this continually evolving neighborhood including apartments for rent and homes for sale. 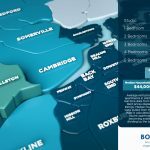 Contact a local Allston agent today to find your perfect home today!